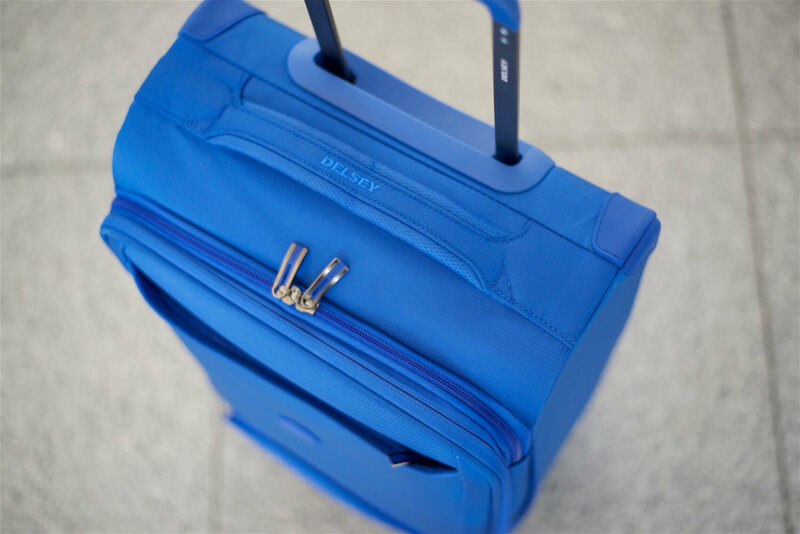 With a bright blue exterior, 4 spinner wheels and a convenient laptop compartment, Delsey has made the Chatillon a great option for vacationers, globetrotters and even business travelers. Among the mundane black suitcases, the Chatillon stands out. It would take a lot of effort, or a severe case of color vision deficiency to miss the Chatillon carry-on in the baggage claim. 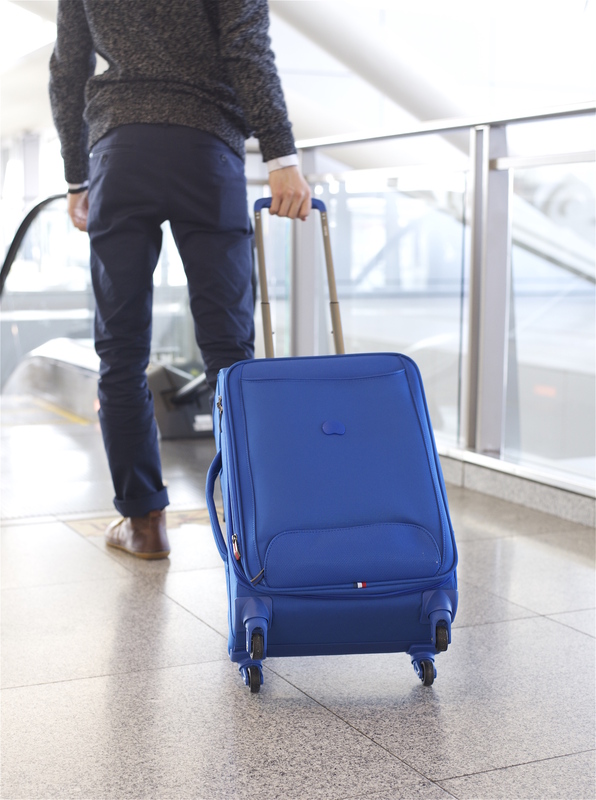 Thankfully for the color blind, the Delsey Chatillon measures at 21″ – within carry on restrictions – meaning you’ll never have to wait for it at the luggage claim. The Delsey Chatillon luggage weighs 4.6 pounds when empty. 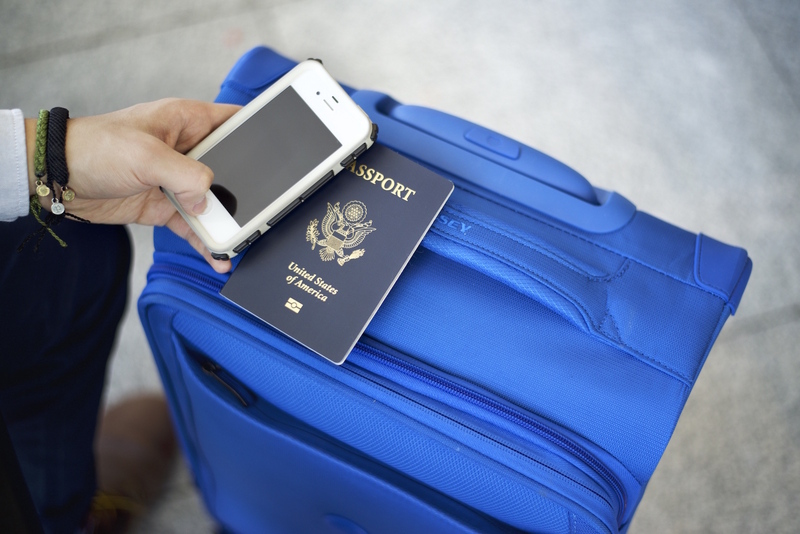 4.6 pounds is lighter than your average carry-on, and about as light as it gets while maintaining necessary features. 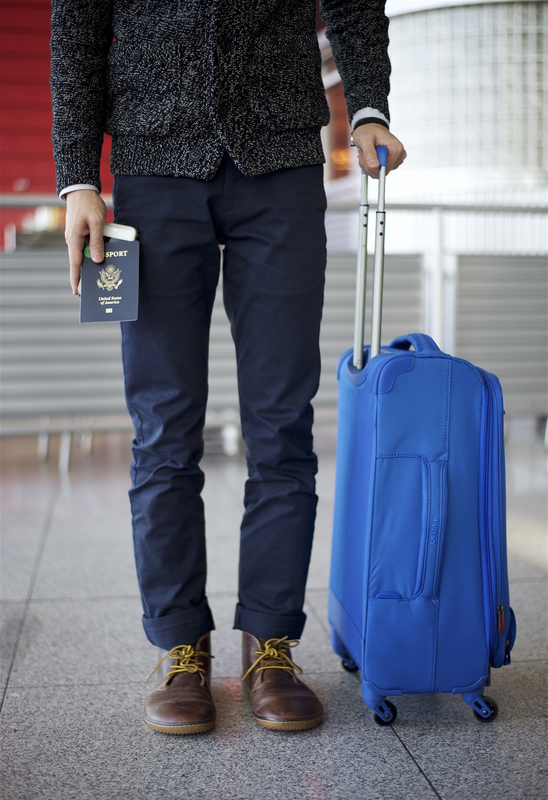 The Chatillon is a full 3 pounds lighter than the Loudmouth Luggage, 2.5 pounds lighter than the Victorinox Spectra 21″ and about 2 pounds lighter than the Hedgren Traction carry-on. 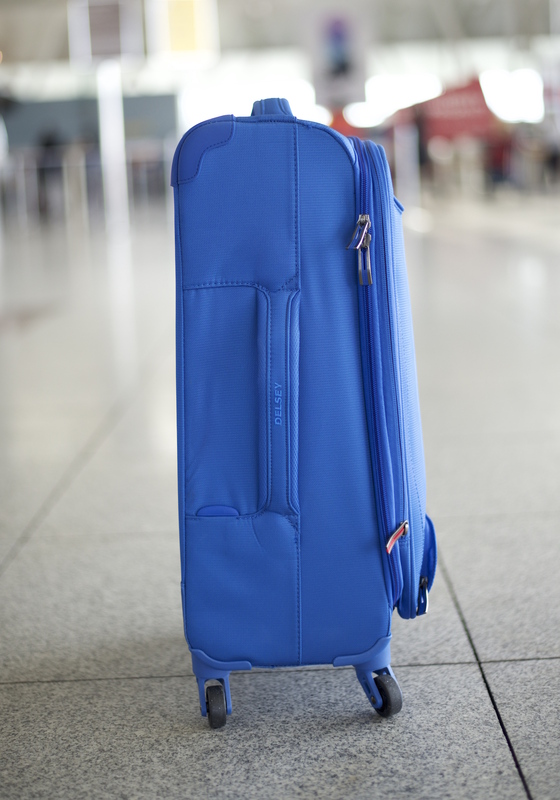 It’s not uncommon to see carry-on suitcases that weigh around 4 pounds, and some suitcases, like the like the IT Luggage (which weighs only 3.6 pounds and costs under $50! (but isn’t the best quality)) weigh even less than that. Unlike suitcases like the Victorinox Spectra and the Hedgren Traction, the Chatillon does not have a built in luggage lock. You’ll have to buy your own TSA approved lock. 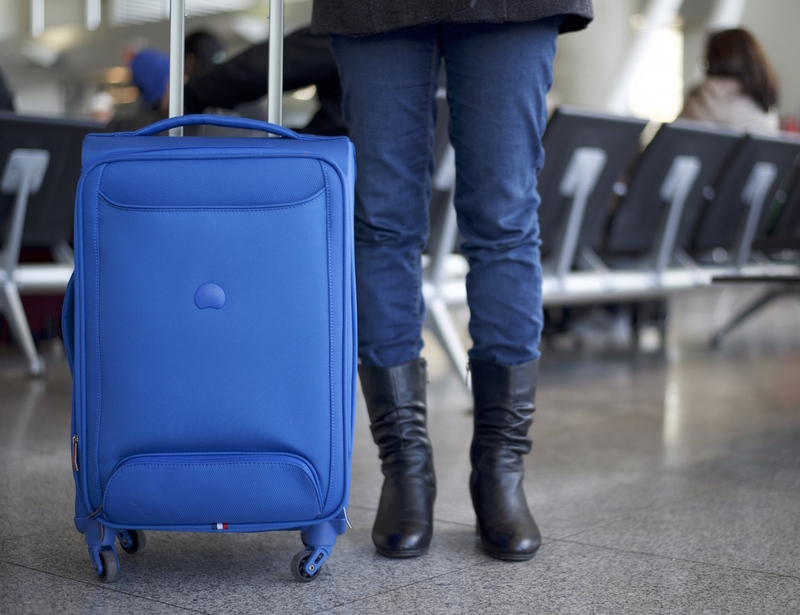 The Delsey Chatillon is a soft-sided suitcase. It’s made of a durable ‘Dura-Tec’ material, which I presume is a type of ripstop polyester. 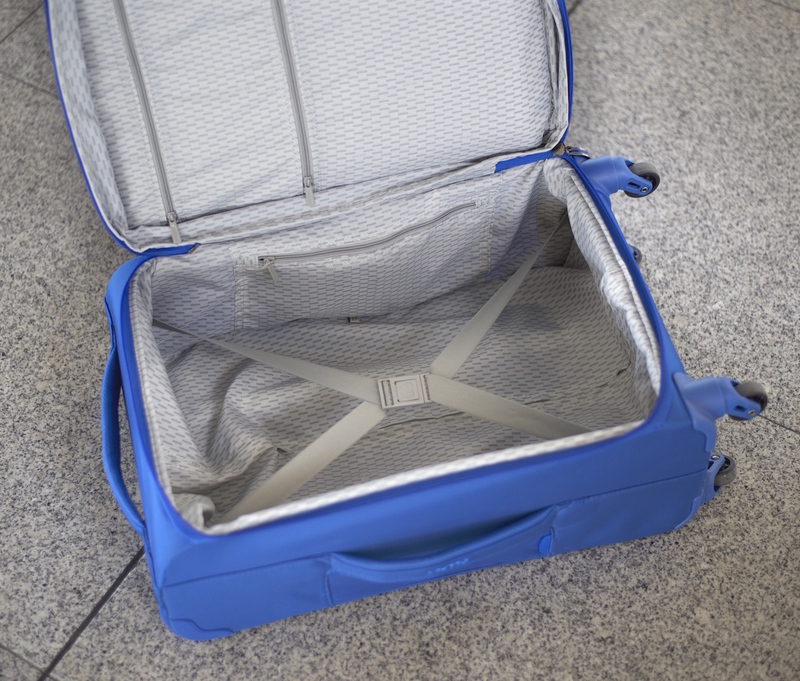 It’s a whole lot easier to crack a sheet of polycarbonate (the material which most hardshell suitcases are made of) than it is to tear a sheet of thick ripstop polyester. The Delsey’s protracting handle is quite thin and a little shaky. In spite of my apprehension of it’s feeble appearance, it’s proven to be deceptively robust. While testing protracting and retracting the handle, it was smooth and dependable. As I’ll go into more detail in the Cons section, the wheels on the Chatillon aren’t the most durable. The entire layout and hardware used (i.e. handles, zippers, etc.) in this suitcase are entirely predictable and standard, so I’d rate the durability as a 7/10, average for most suitcases. One of the ramifications of airport security is the need to remove your laptop. The Chatillon has a useful feature to make the security process a little more convenient: a padded laptop pocket. Delsey Chatillon laptop compartment. The pocket is quite discrete – it’s hard to tell it’s a laptop compartment. Unfortunately, it’s not lockable. The pocket is located in the exterior of the front of the bag and can hold laptops up to 14 inches. Honestly, I haven’t seen very many 14 inch laptops (most tend to be either 13″ or 15″), but the pocket fits my MacBook Pro 13″ perfectly. When trying to put my 13″ MacBook along with my Case Logic sleeve it was a tight fit. 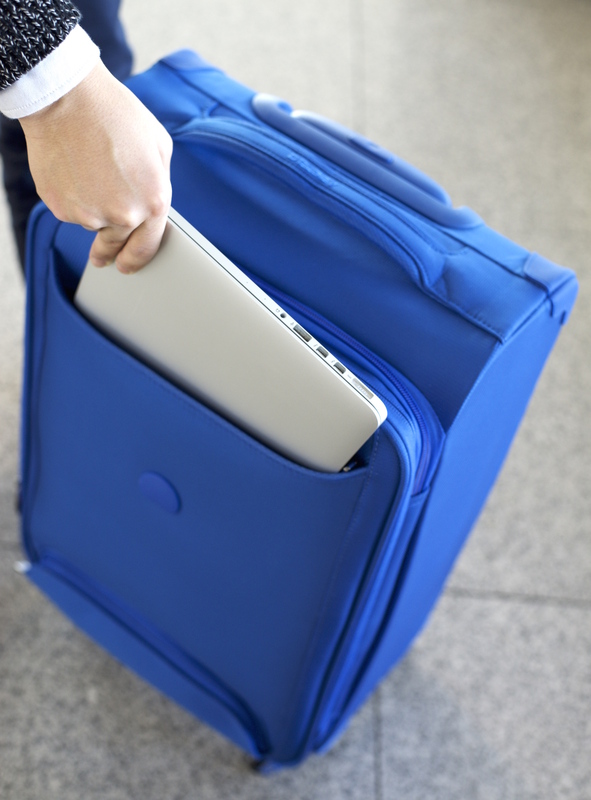 With the laptop pocket, you’ll easily be able to store your laptop in your carry-on and easily access it when going through TSA security checks without having to dig through your main compartment. Unfortunately, there’s no way to lock the laptop pocket, making it a bit less useful. 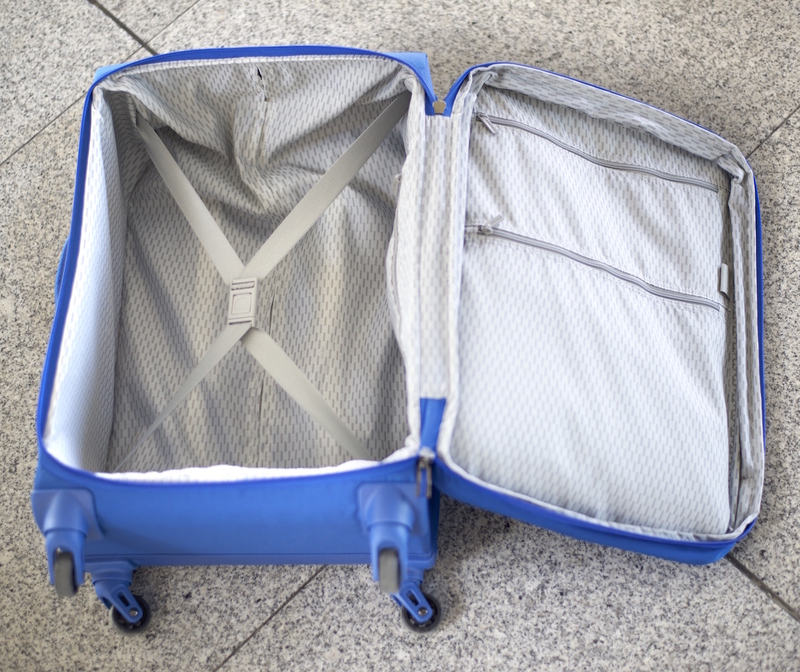 In addition to the laptop compartment, there’s a small pocket on the exterior of the suitcase possibly for holding your charger or any small items that didn’t fit in the main compartment. The main compartment has a standard layout with an elastic strap for cinching down your clothes or gear and two small pockets for holding items like socks and toiletries. 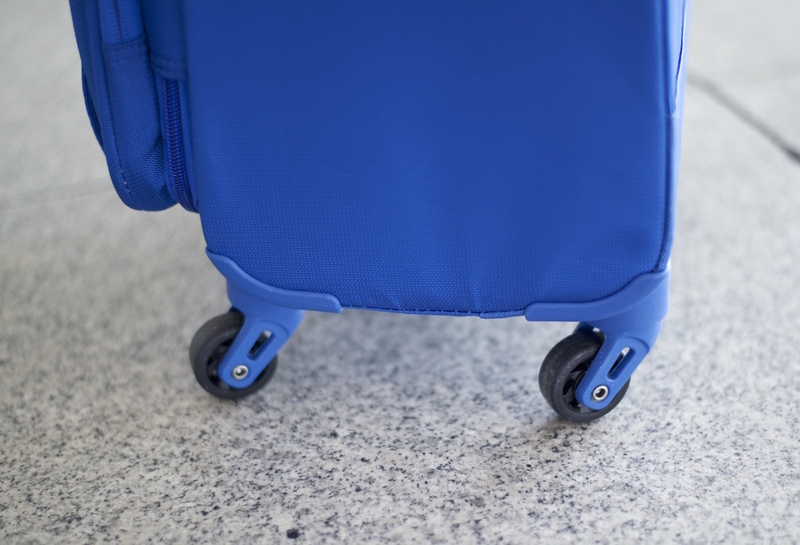 The wheels are smooth and make it easy to maneuver the suitcase, but they aren’t the most durable. 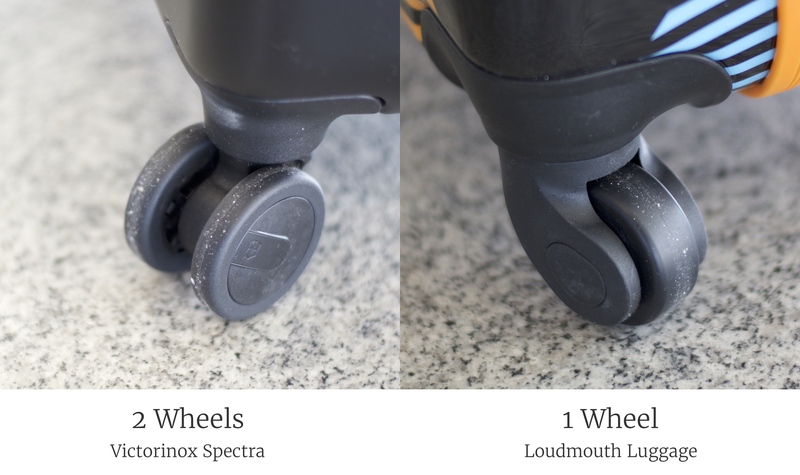 Compared to those on other suitcases I’ve tested, the Chatillon’s wheels are tiny. In my experiences with the Delsey Helium Shadow suitcase, an earlier Delsey luggage model, I had some issues with the wheels. The wheels got stuck and then were worn down unevenly. They ended up breaking after a few uses. Unfortunately the Chatillon luggage uses the same exact wheels. The two wheel design tends to be smoother and handle bumps better than the current 1 wheel per corner design that the Delsey Chatillon luggage employs. The Delsey Chatillon blends convenience and good design into a lightweight package. It loses to other in terms of the wheels, but is a great choice if you’re looking for a lightweight soft-sided spinner. At $130, it’s reasonably priced as well. The Delsey Chatillon Luggage was provided for this review. As always, this Delsey Chatillon Luggage review contains only my honest views and opinions. 🙂 Find out more about me and this site here. Your reviews are good but you need to include METRIC measurements in them so readers from outside the US can understand the weight and dimensions. Hey Fred – thanks for letting me know. I’m working on it!